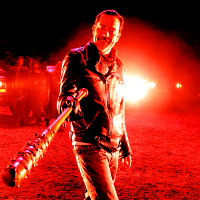 Negan. . Images in the Jeffrey Dean 모건 club tagged: photo jeffrey dean morgan tv show the walking dead negan 2016 bibi69.